ON FRIDAY, BRITISH Airways disclosed a data breach impacting customer information from roughly 380,000 booking transactions made between August 21 and September 5 of this year. The company said that names, addresses, email addresses, and sensitive payment card details were all compromised. Now, researchers from the threat detection firm RiskIQ have shed new light on how the attackers pulled off the heist. RiskIQ published details tracking the British Airways hackers’ strategy on Tuesday, also linking the intrusion to a criminal hacking gang that has been active since 2015. The group, which RiskIQ calls Magecart, is known for web-based credit card skimming—finding websites that don’t secure payment data entry forms, and vacuuming up everything that gets submitted. But while Magecart has previously been known to use the same broadly targeted code to scoop up data from various third-party processors, RiskIQ found that the attack on British Airways was much more tailored to the company’s specific infrastructure. In its initial disclosure, British Airways said that the breach didn’t impact passport numbers or other travel data. But the company later clarified that the compromised data included payment card expiration dates and Card Verification Value codes—the extra three or four-digit numbers that authenticate a card—even though British Airways has said it does not store CVVs. British Airways further noted that the breach only impacted customers who completed transactions during a specific timeframe—22:58 BST on August 21 through 21:45 BST on September 5. These details served as clues, leading analysts at RiskIQ and elsewhere to suspect that the British Airways hackers likely used a “cross-site scripting” attack, in which bad actors identify a poorly secured web page component and inject their own code into it to alter a victim site’s behavior. The attack doesn’t necessarily involve penetrating an organization’s network or servers, which would explain how hackers only accessed information submitted during a very specific timeframe, and compromised data that British Airways itself doesn’t store. The script is connected to the British Airways baggage claim information page; the last time it had been modified prior to the breach was December 2012. Klijnsma quickly noticed that attackers revised the component to include code—just 22 lines of it—often used in clandestine manipulations. The malicious code grabbed data that customers entered into a payment form, and sent it to an attacker-controlled server when a user clicked or tapped a submission button. The attackers even paid to set up a Secure Socket Layer certificate for their server, a credential that confirms a server has web encryption enabled to protect data in transit. 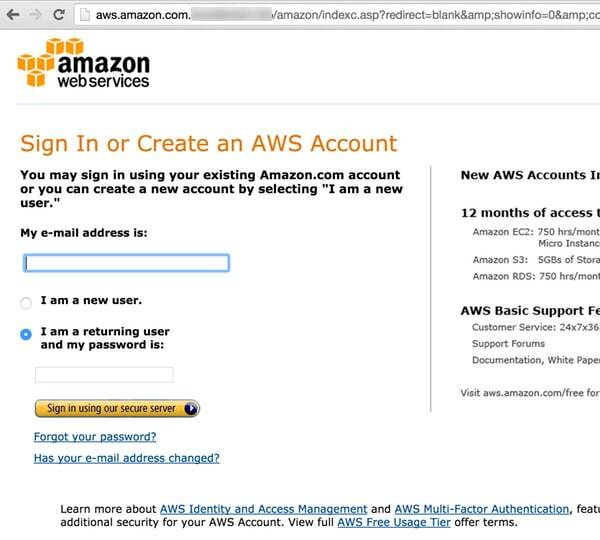 Attackers of all sorts have increasingly used these certificates to help create an air of legitimacy—even though an encrypted site is not necessarily safe. While the attack wasn’t elaborate, it was effective, because it was tailored to the specific scripting and data flow weaknesses of the British Airways site. British Airways said in a statement to WIRED on Tuesday, “As this is a criminal investigation, we are unable to comment on speculation.”1 RiskIQ says it gave the findings to the UK’s National Crime Agency and National Cyber Security Centre, which are investigating the breach with British Airways. “We are working with partners to better understand this incident and how it has affected customers,” an NCSC spokesperson said of the breach on Friday. RiskIQ says it is attributing the incident to Magecart because the skimmer code injected into the British Airways website is a modified version of the group’s hallmark script. RiskIQ also views the attack as an evolution of the techniques used in the recent Ticketmaster breach, which RiskIQ linked to Magecart, though with the added innovation of directly targeting a victim’s site rather than compromising a third party. And some of the attack infrastructure, like the web server hosting and domain name, point to the group as well. So far British Airways and law enforcement haven’t publicly commented on this attribution, but Klijnsma says the other takeaway for now is the prevalence of tiny website vulnerabilities that can quickly turn into huge exposures. 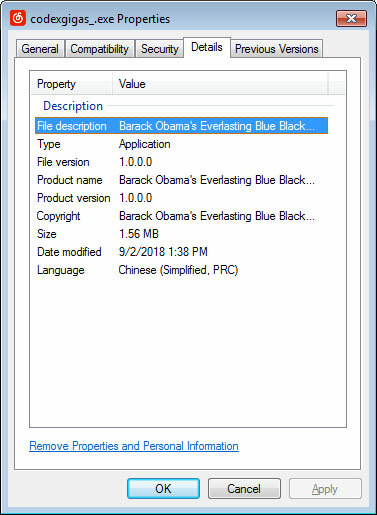 First tweeted by MalwareHunterTeam, this ransomware has the bizarre title of “Barack Obama’s Everlasting Blue Blackmail Virus” as shown by the file properties below. It will then scan the computer for .exe files and encrypt them. When encrypting files, it will target all .EXE files, even those that are located under the Windows folder. 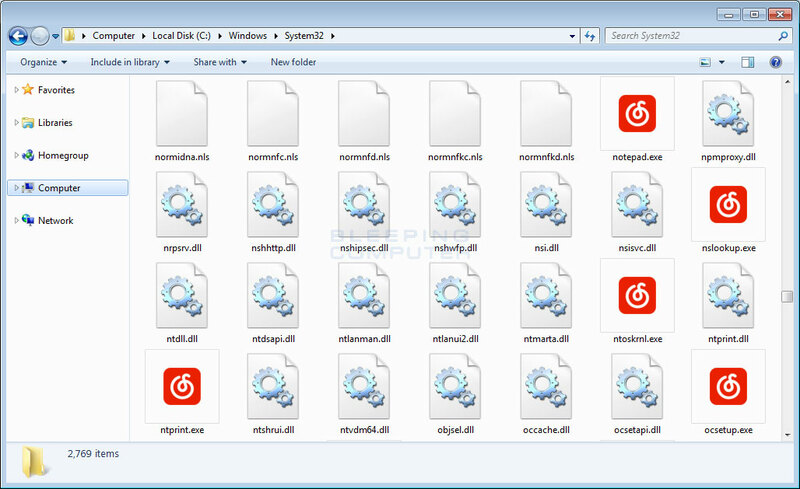 Other ransomware in the past that encrypted executables typically avoid the Windows folder so that it does not cause problems with the proper execution of the operating system. As part of the encryption process, this ransomware will also modify the Registry keys associated with .exe files so that they use a new icon and run the virus every time someone launches an executable. The modified keys are listed below. The message in the ransomware interface states that users should contact the attacker at the 2200287831@qq.com for payment instructions. It is unknown how this ransomware is distributed or if the developer will even provide a decryption key if paid. Obama is not the only President to have had a ransomware created after him. 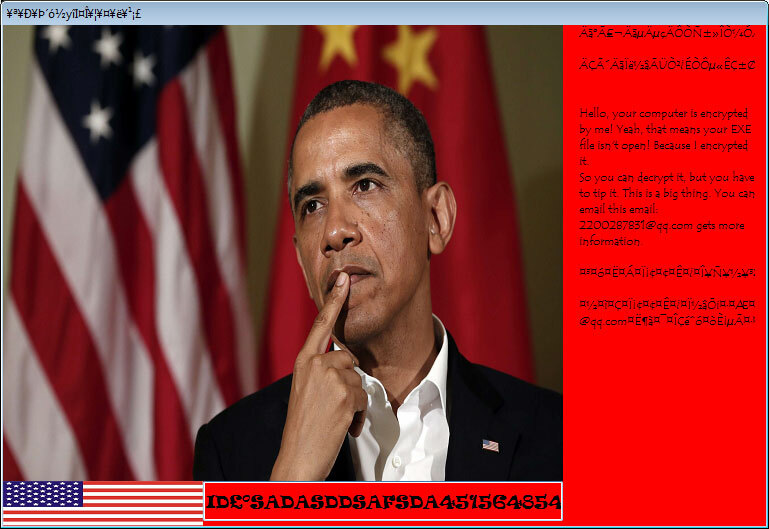 Prior to the 2016 United Stated presidential election, the The Donald Trump Ransomware was released. The Trump Ransomware was a development version that had built-in decryption. 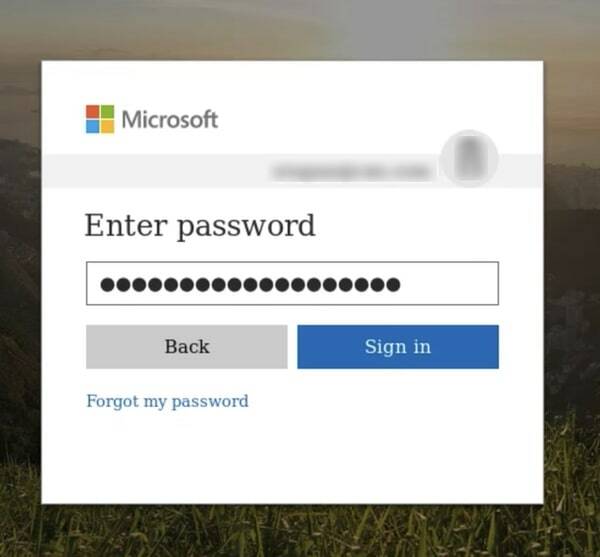 This entry was posted in Uncategorized and tagged computer, email, hacker, internet, it, network, privacy, security, tech, technology.